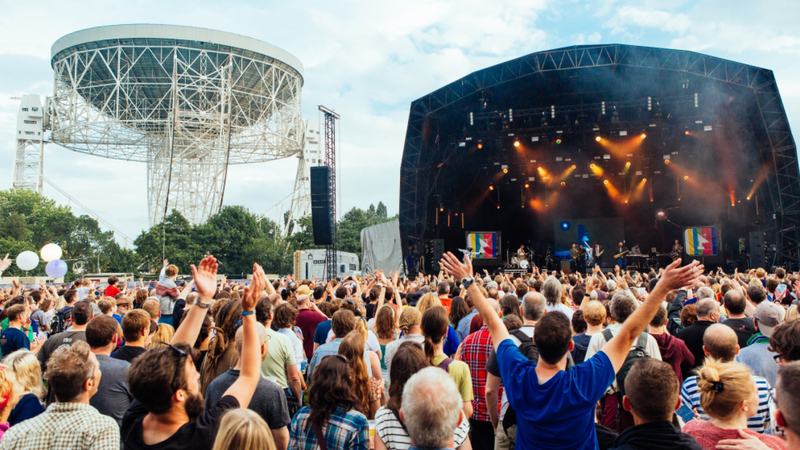 On 20th – 22nd July 2018, representatives from across the Royce partners came to Jodrell Bank for Bluedot science & music festival to deliver the Institute’s first public engagement event. 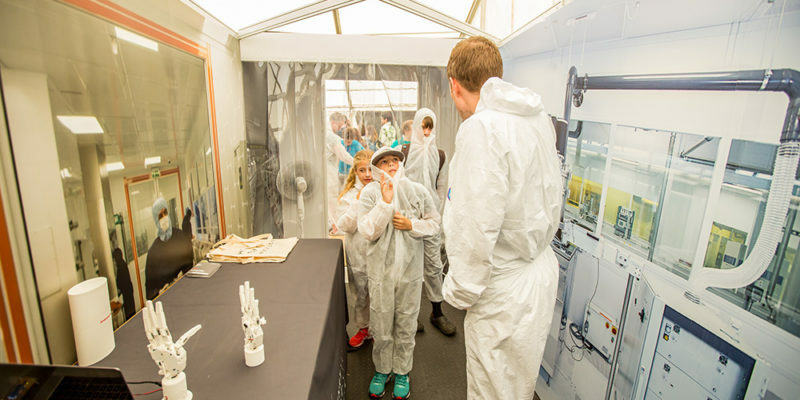 Hosting the festival’s largest interactive exhibition stand against the backdrop of the famous Lovell telescope, the Royce created an immersive cleanroom simulation, complete with decontamination zone to entice children and adults into the world of materials science. 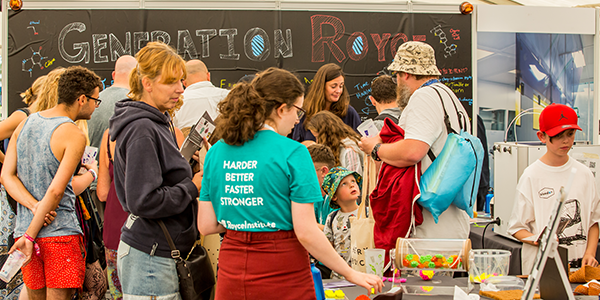 Once festival goers were kitted out in their cleanroom suits, it was time to hit the Royce Laboratory to tackle six materials science challenges to win a prize and join the coveted Generation Royce. 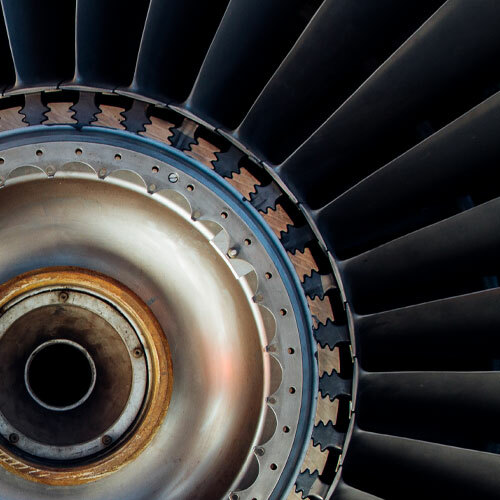 Adopting the tagline from the iconic Daft Punk song, the Royce demonstrated a vast range of science from the effects of nuclear radiation damage on materials to demonstrating shape memory alloys with a Ferris wheel structure. 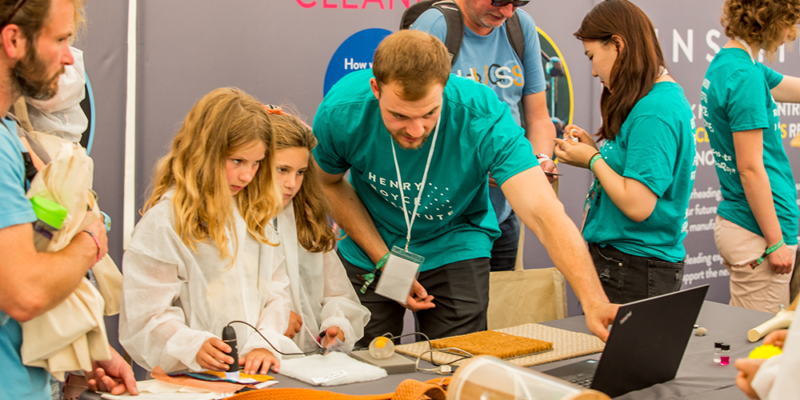 By far the most popular challenge was exploring the properties of different chocolate bars to simulate how materials behave under impact. 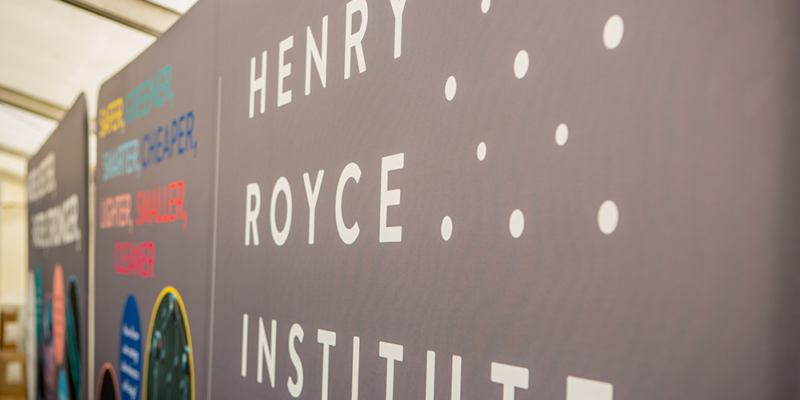 Activities were designed to stimulate all ages and Royce exhibitors were commended by festival goers across the three days for their enthusiasm and engaging demonstrations, as well as their ability to pitch difficult concepts to different audiences. 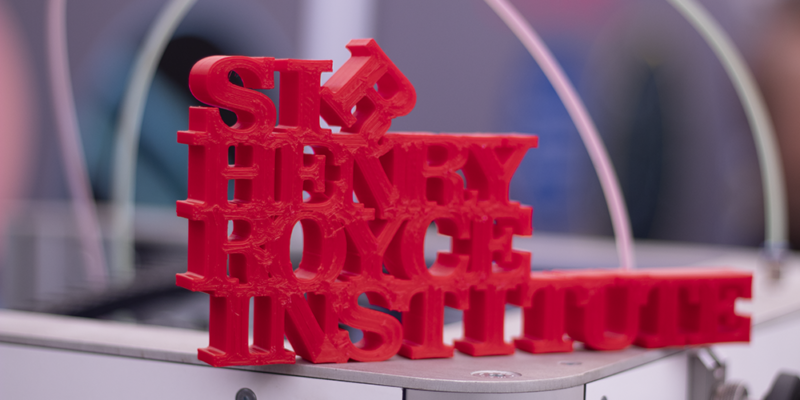 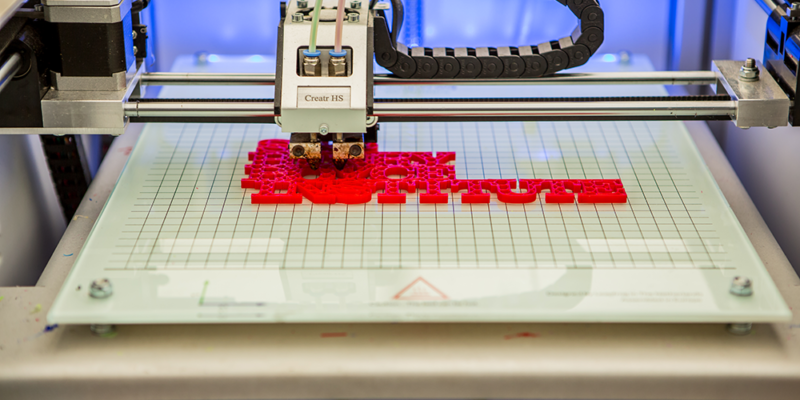 As Royce positions itself as the national centre for advanced materials, a key part of the role will be to inspire the next generation of materials scientists to take on the challenges facing future societies. 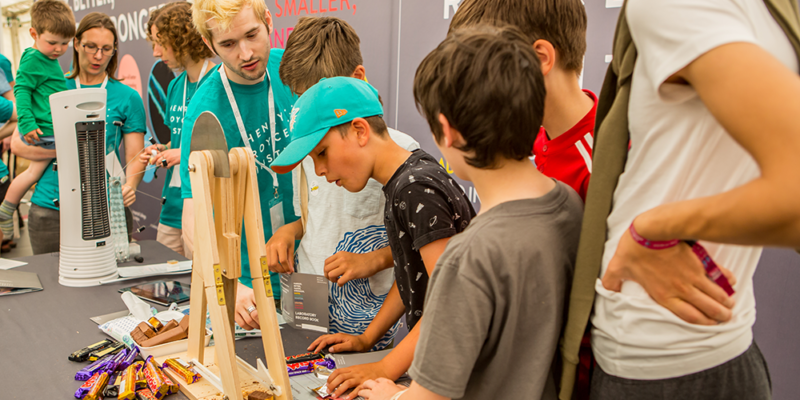 We look forward to our next outreach event at the Big Bang Fair 2019 so watch this space!